There are so many benefits to rod building, but some of the best come from the mental and physical rewards created during the craft. 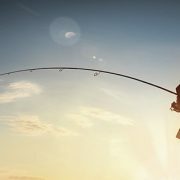 From the mental side of planning and designing your very own fishing rod, to the actual rod assembly and the first fish on your custom built rod, it’s easy to see how rod building helps anglers on and off the water. 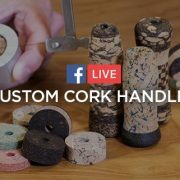 Although it’s humorous, it’s also true because once you get started, the sheer number of possibilities make custom rod building less of a hobby, and more of a way of life. 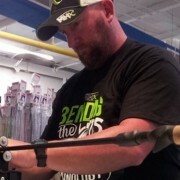 Whether learning how to build rods, or taking that passion to teaching, rod building has changed the lives of many anglers and all for the better. 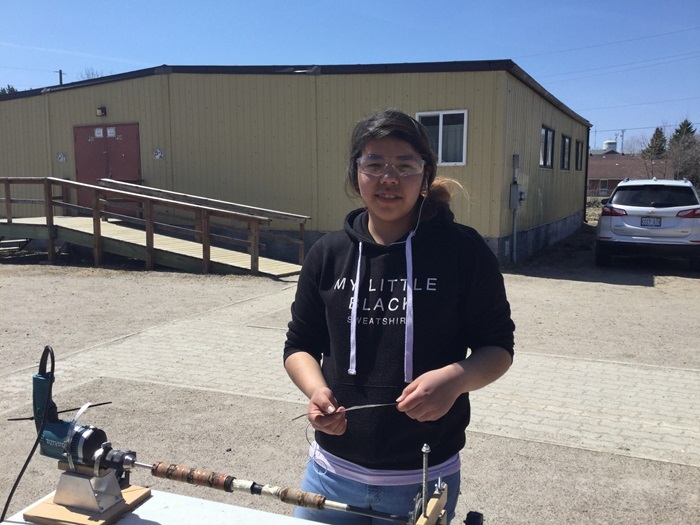 For example, in Sioux Lookout, a small town in Ontario, Canada, there is a group of avid anglers who have begun teaching the next generation of rod builders. It’s hard enough dealing with the trials of adolescence, but it’s even more difficult when growing up without the proper leadership. Without quality mentors, it becomes too easy to look around and start losing hope. 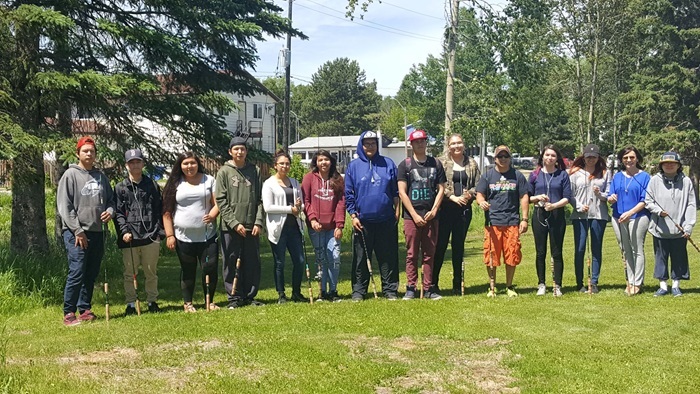 But luckily, a few rod building instructors banded together in Sioux Lookout and decided to share the impact of rod building with the local at-risk youths. 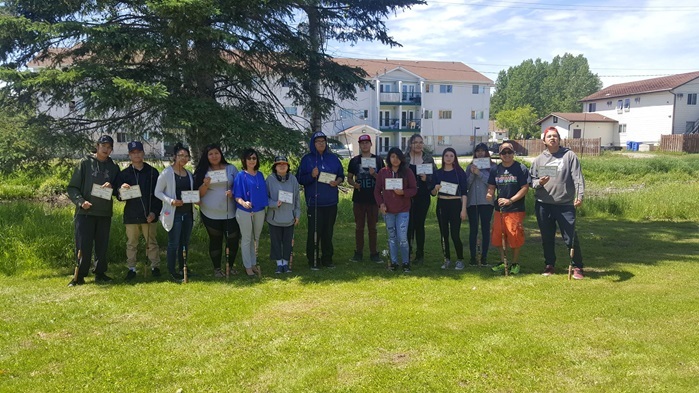 Pairing up with Mud Hole’s Educational Program, the group’s leader, Rob Sakamoto, was able to treat the kids to an experience of a lifetime. What happened next drastically changed the attitude of many kids, who were never given fair shot at life to begin with. 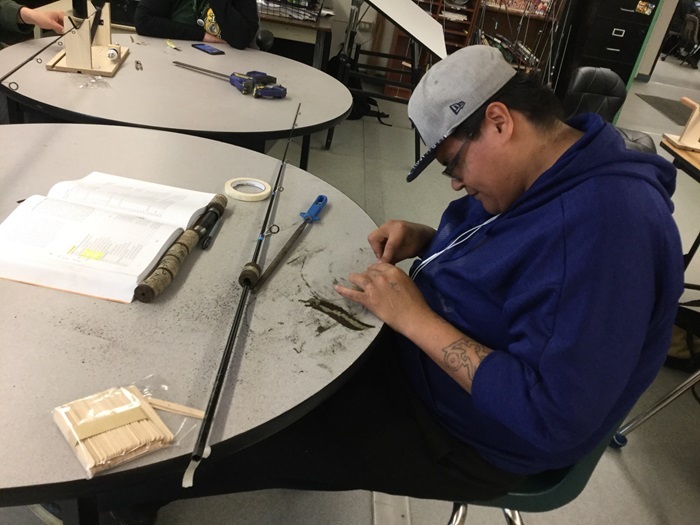 Learning the discipline of rod building and feeling the reward of a hard day’s work helped them realize that life will only ever be what you make it. For instance, one student bounced around from street to street living a life that would be impossibly hard on an adult, let alone a kid. Eventually, he was taken in by a generous woman and given the opportunity to start a normal life. After learning to build a fishing rod, he built two custom rods. The first rod, he gifted to the woman who so kindly saved him from the streets. But the second rod he built, he took to his biological father as a way of reconnecting with him. 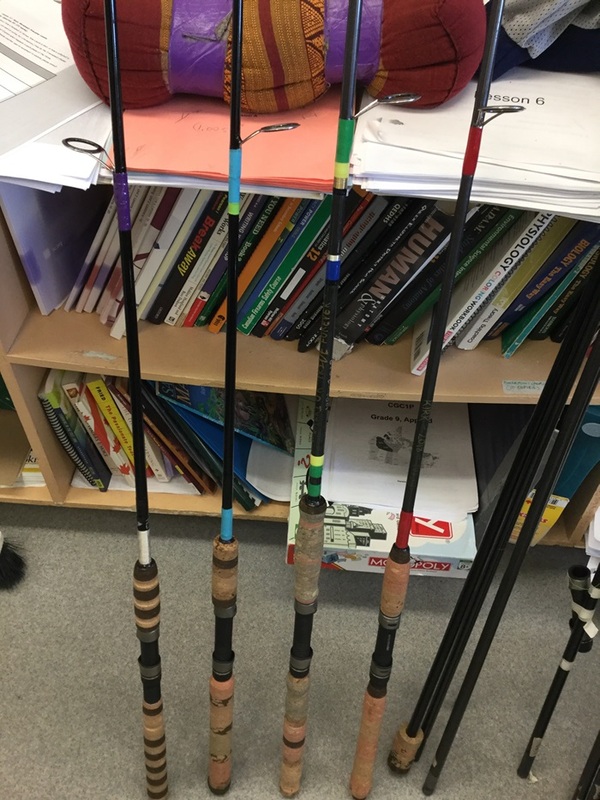 Another example, comes from a student who presented the rod he built to his grandfather. The rod was customized with thread wraps that reflected the traditional colors of his grandfather’s Pow-Wow regalia. 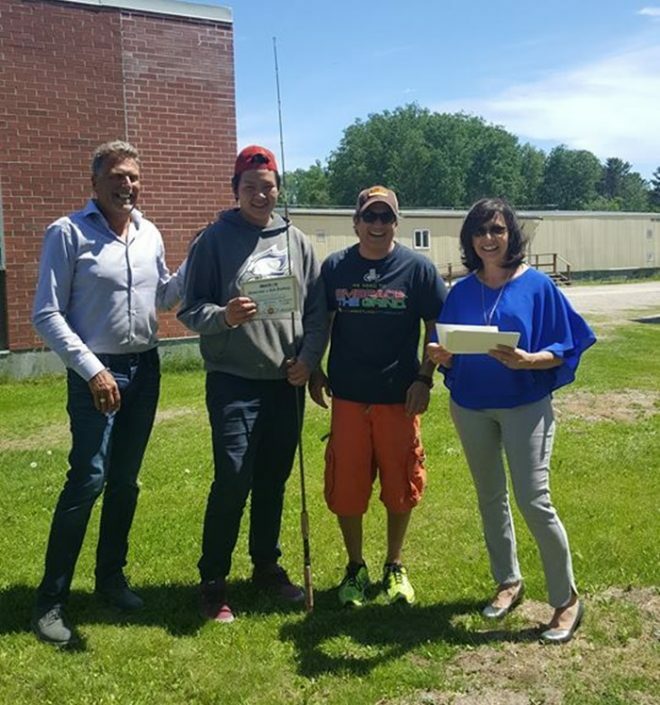 Both cases exemplify how rod building has helped at-risk youth grow personally, while also healing the relationship’s that mean the most to them. 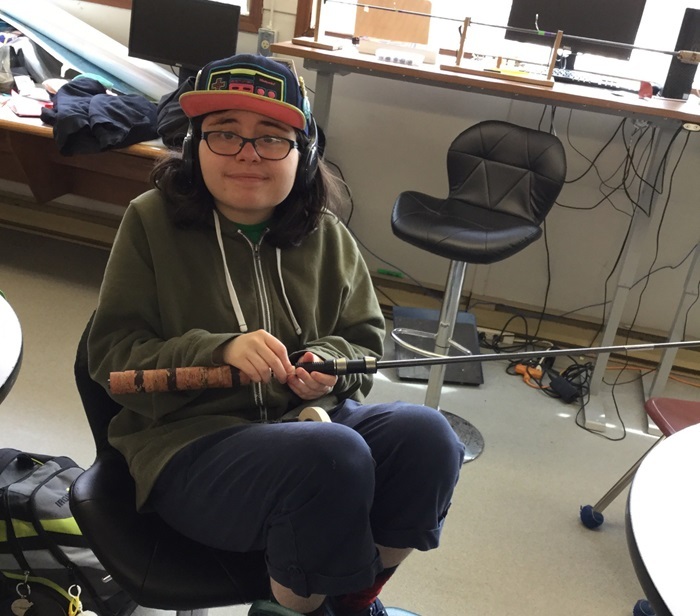 The performance potential behind custom rod building is no secret, but now thanks to the help of community leaders like Rob Sakamoto, the healing factors of the craft is no longer a secret either. Plus, the kids get to build some really nice fishing rods! Mud Hole offers a complete education program for schools, clubs, scouts, and other qualified groups. 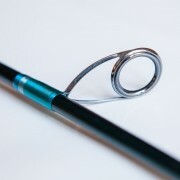 Our education kits make learning rod building a fun and rewarding experience. From the syllabus to the diploma, our education services cover all your instructional needs. For teachers, their time is often stretched very thin. Whether from classroom sizes growing, or funds spread thin in Wildlife, Recreation and Outdoor activities, the need for extra hands-on activities has been proven to dramatically improve the engagement of students. 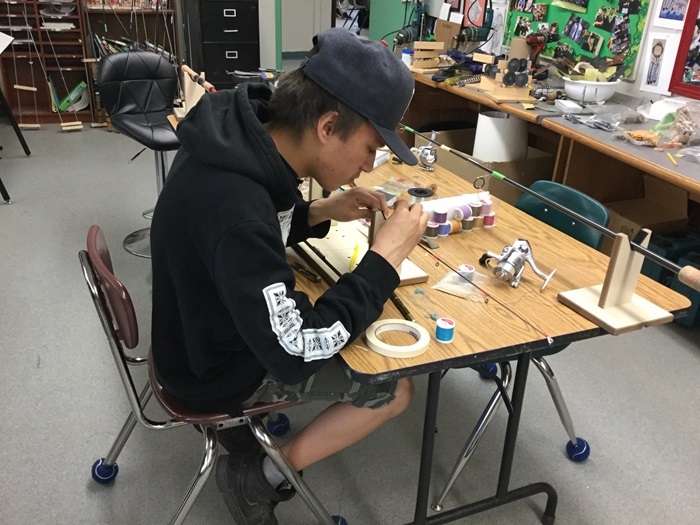 Rod Building and Tackle Crafting programs fit that need and are a strong and growing activity in classrooms across the USA. 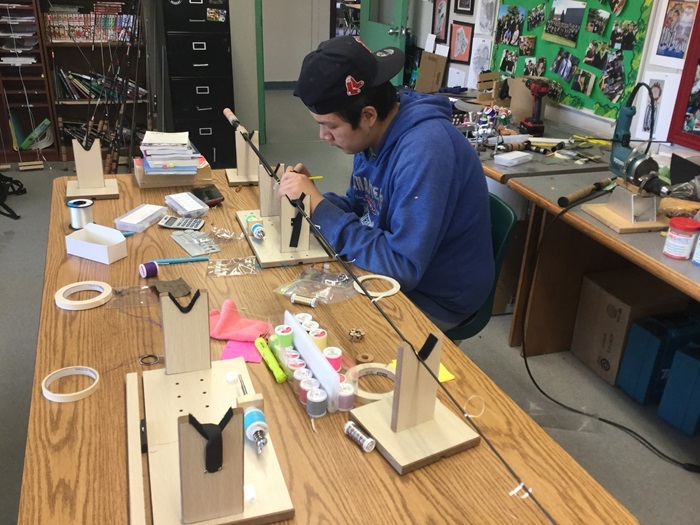 With the addition of Rod Building and Tackle Crafting in the classroom, teachers with be able to spark the students’ interest in not only a new hobby but an extra career choice to offer them. 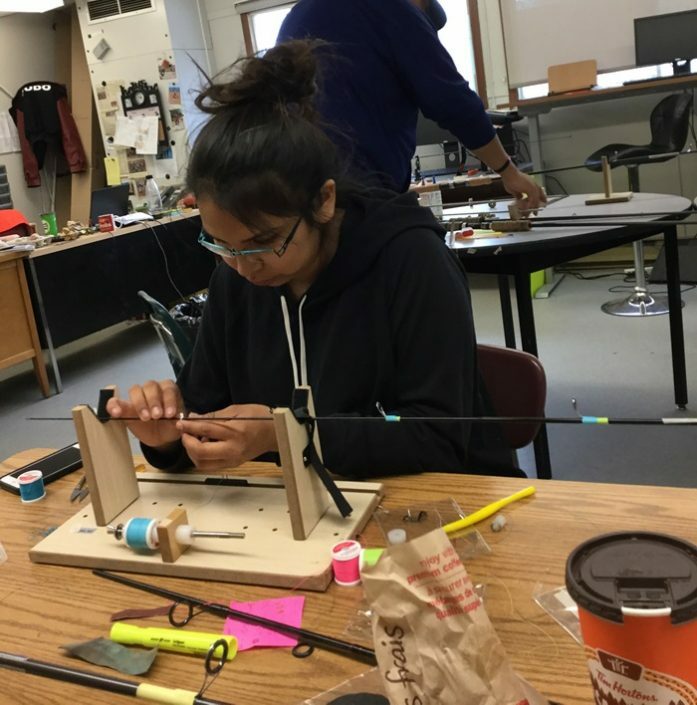 After preliminary discussions and demonstrations, students become extremely interested in the hands on activities of building fishing rods and crafting tackle. 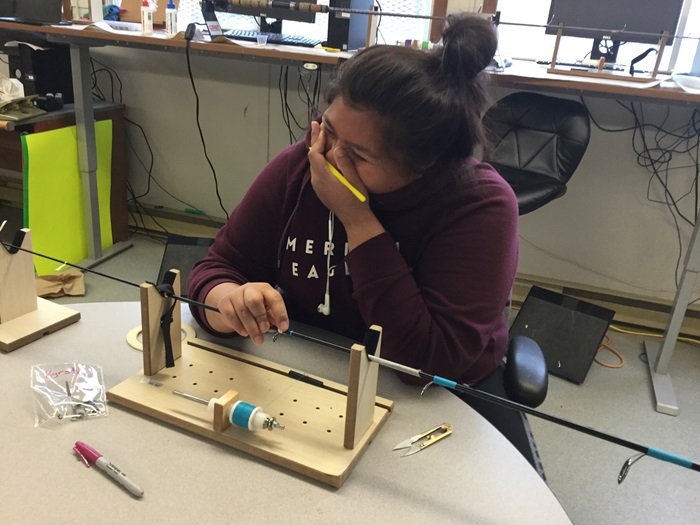 Basic rod kits and tackle crafting kits are needed to start the program with the purchase of basic equipment that will be used for many years to help additional students reach new goals. 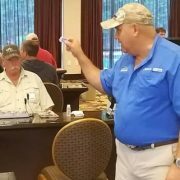 Mud Hole Custom Tackle has successfully started rod building and tackle crafting programs in over 400 institutions across the USA with over 3,500 students completing the programs. These programs feature very high success rates. 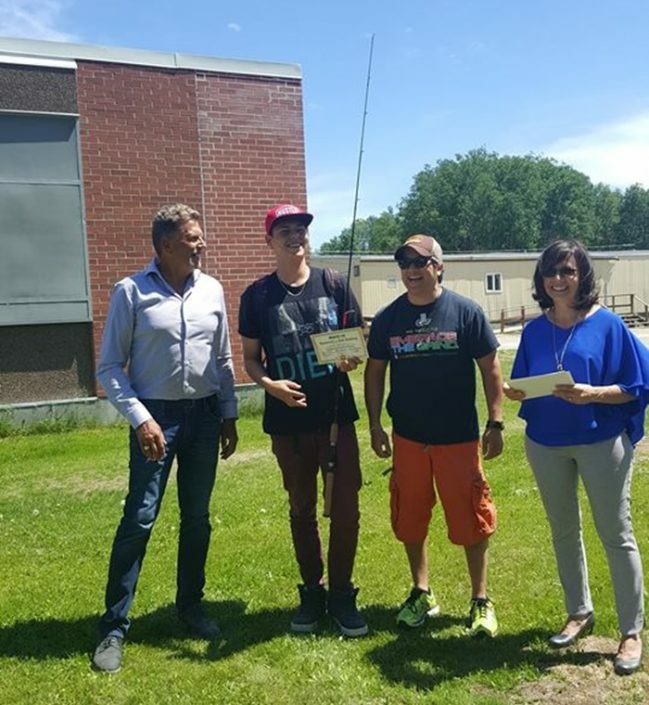 Many programs have become self-funding with the addition of auction programs where the students sell their completed fishing rods, with the proceeds re-invested in the programs. Learn more about Mud Hole’s education programs today by contacting todd@mudhole.com or calling (866) 790-7637 x112. Apply for Mud Hole’s Educational Program here! Rod builders come in all ages and skill levels. 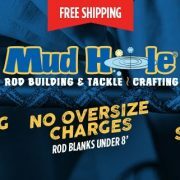 Whether learning to build rods as a start-up business, a personal hobby, or a path to giving jaw-dropping gifts, discover your reasons for rod building with Mud Hole!